Have you been told by an optometrist that your eye condition prevents you from wearing contact lenses because they are hard to fit? Yes, there are several eye conditions that can make it difficult to fit contacts, but your eye doctor at Richardson Eye Associates in Richardson, TX can provide a solution. There are a number of eye diseases and conditions that can make it more difficult for you to wear contact lenses, but few situations are impossible. Richardson Eye Associates, your optometrist in Richardson, TX can work with you to find the right type of lenses for your situation even if you have a condition that makes contacts hard to fit. The main issue with these conditions is a misshapen cornea that can make it difficult to fit contacts that will be comfortable for you. With advancements in various types of lenses, such as gas permeable, there are more options than ever for people who suffer from these conditions but would still prefer contacts over glasses. Our team is highly trained in hard to fit contacts and understands that both clear vision and comfort are important when fitting our patients for contacts. If you suffer from Keratoconus or GPC, two conditions that cause a build-up of protein on your lenses, gas permeable lenses are an effective solution. For patients with Presbyopia multifocal lenses can work well and allow them to see both near and far objects. For a long time, patients with astigmatism had no option but to wear eyeglasses to correct their vision. Now with the continued development of toric lenses, they are able to have contact lenses as an option. Medicated eye drops can help to relieve dry eyes, even when lenses are worn; additionally, soft contact lenses allow more moisture to protect the eye and reduce the risk of infection and redness. 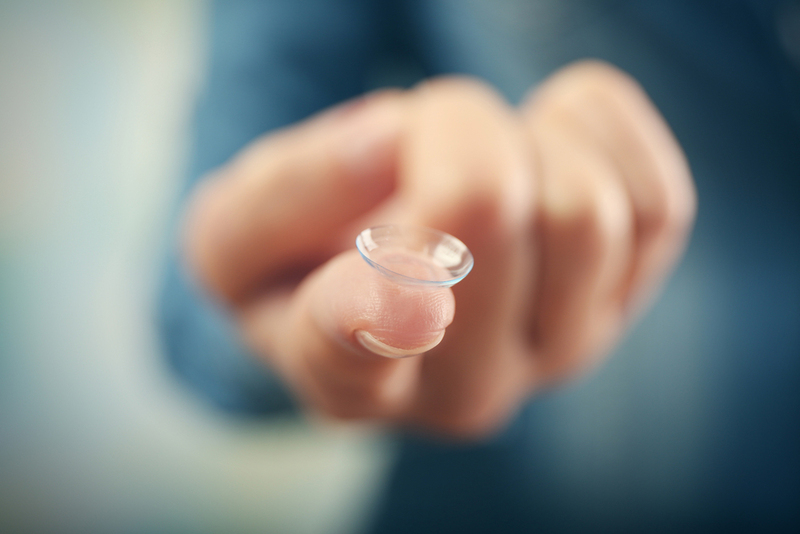 Whatever your condition may be, the team at Richardson Eye Associates will conduct a full contact lens examination and fit to determine your best option. Are You Interested in Learning More about Solutions for Hard to Fit Contacts? Contact Our Richardson Eye Associates in Richardson, TX Today! Richardson Eye Associates understands that contacts are often the preferred way to correct our patients' vision. If you prefer contacts over eyeglasses but have a condition such as astigmatism, call us today at 972-231-3439 to schedule a contact lens fitting; our office is located at 660 West Campbell Road.